Introducing the Rules Resources site, home to the Magic: The Gathering™ rules and policy documents on a linkable, searchable, and easy to access platform. Also the new home to the Annotated IPG and the Annotated MTR. The Rules Resources site will host up-to-date online versions for the official rules and policy documents. With this site you can easily link to any rule in the documents, using a very easy to remember URL syntax. You can also link to any MTR or IPG rule, and for the IPG you can even link to specific sections of each infraction, such as the Philosophy or Additional Remedy. You can use the Rules Resources search feature, displayed on the right hand side of the site for every page, to look up a specific word, term or phrase. Navigating the site is easy and straightforward. Besides the navigation menus you can jump from the current page being viewed to the previous and the next page within each document. You will find prev/next page links at the top and bottom of every page where this feature is available. The IPG and MTR sections of this site include the Annotated IPG and Annotated MTR content. The Annotated IPG and the Annotated MTR are a line by line deconstruction of each sentence in the IPG and the MTR. The IPG and the MTR are very dense documents with very few extraneous words. Each sentence has meaning, and it’s the Annotated IPG’s and Annotated MTR’s goal to call attention to the finer details hidden in those sentences. It can be used as a study guide for L2, a refresher for judges coming back, or to settle judge nerd-fights, but its primary focus is education. Annotated IPG and Annotated MTR content appears on this site inserted throughout the MTR document in blue panels. This site replaces the English versions of the Annotated IPG and the Annotated MTR on the Judge Wiki, however foreign language translations are still there for the time being. Watch this space for updates on localization of Annotated content. 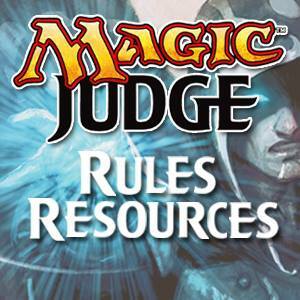 The Rules Resources site is the work of these judges. If you have feedback on the site or spot an error or otherwise would like to contribute please contact David de la Iglesia through JudgeApps.